Red Oak Spice Prefinished Smooth #1 Com 3/4" x 5" x 9"-84"
Product details below for Red Oak 3/4" x 5" x 9"-84" Spice Smooth #1 Com Prefinished Flooring from The Fantastic Floor. Size Description: 3/4" x 5" x 9"-84"
We have matching molding, accessories, treads, and wood vents. Enter the square footage of your design space and your shipping address zip code. We'll let you know how many boxes, how many total square feet you'll get, the price per square foot, the total cost of the flooring and the price of shipping! 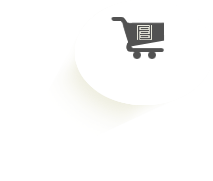 There is no required minimum order. However, because we order manufacturer direct, a $175 minimum pull rate is assessed for any orders under 310 square feet. Red Oak flooring features red-tinged brown heartwood and white tones that create a subtle but resonant contrast that makes this wood uniquely enjoyable. 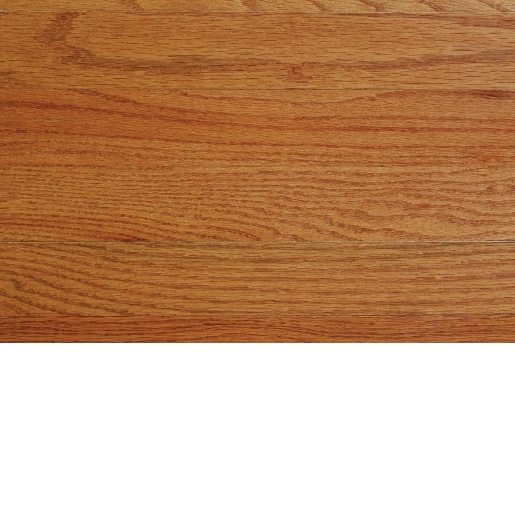 A consistent grain adds to the grace of the overall presentation of a Red Oak floor. All of these elements make Red Oak a colorfully multifaceted yet understated beauty that, much like White Oak, is aesthetically complementary to any style of home, be it modern or rustic. 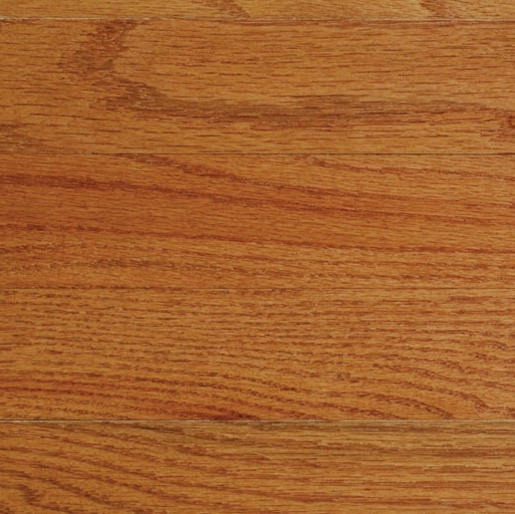 Red Oak floors have long been a beloved domestic standard in the United States, while the Red Oak wood itself has also served as the industry standard of hardness with a Janka hardness rating of 1,290. With its subtle red tones, rooms floored with Red Oak hardwood will feel warmer without the wood taking center stage. This allows other decorative elements such as fine furniture or artwork to stand out while being complemented by the beautiful Red Oak flooring underfoot. #1 Common material will typically contain open defects including small knots, burls and other character features. In prefinished material, #1 Common may contain some manufacturing defects. You should plan for a waste factor of 10-15% when purchasing. Prefinished Solid Flooring - Material can also be re-sanded and re-finished many times over offering the customer a floor which will last generations. For more infomation, please email us at sales@fantastic-floor.com. We have a flat rate postage sample program available so you can see the superior quality of the flooring you are thinking about BEFORE purchase! For $15 to cover postage and handling, we will send you a sample of your choice. © Copyright 2019, Fantastic Floor. Proudly providing fantastic flooring products to: California, Massachusetts, Oregon, Texas, Florida, Washington, New York, Georgia, Illinois, Pennsylvania, Michigan, Ohio, New Jersey, Maryland, Virginia, North Carolina, Tennesee, Colorado, South Carolina, Arizona and more.